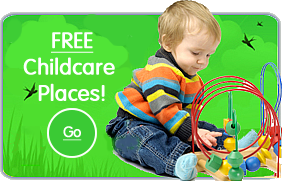 Our ‘Out of School Club’ utilises the same facilities as the pre-school. In the morning we run a breakfast club, this is where the children enjoy a healthy breakfast before being transported to school in one of our Out of School vehicles. 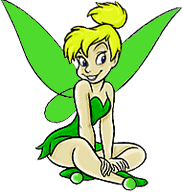 Children using our After School club will be picked up from school and brought back to Tinkerbell’s, whereby they will each receive a drink and a snack before either taking part in a planned activity, choosing to do their homework or simply letting off steam. During School holidays and teacher training days we operate a holiday club, this is where the children can spend either the morning, afternoon or whole day with us and where they are provided with lunch and drinks to give them the energy to take part in one of the many activities on offer, whether it be trips to the local park or nearby attractions, various sports, snooker or board games or art and crafts. Our outdoor area is a beautifully landscaped garden split on four different levels. Firstly we have an outdoor classroom which enables the children to participate in planned activities or simply enjoy their food and drink outside in the fresh air, our second level is a block paved area which the children use as a free play area. The third level of the garden is the children’s quiet area, it is surrounded by trees and has seating provided, this is where the children come to rest or cool off after energetic play. Our final level of the garden is our main play area, this area is partially block paved and partially wet-pour surface, in this area we have all the outdoor toys including a large Wendy house and a wooded area where the children like to explore and build dens. The wet-pour surface is marked out in the shape of a road the children need to cross a Zebra crossing to access a hopscotch pattern which is situated on the other side of the road.